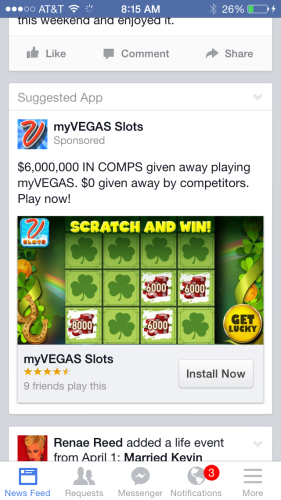 Lest you weren’t sure about the relationship between lottery interests and slot machines in future regulated online gambling spaces, here’s a common ad getting served up to some of us on Facebook these days (for myVegas, an MGM joint). 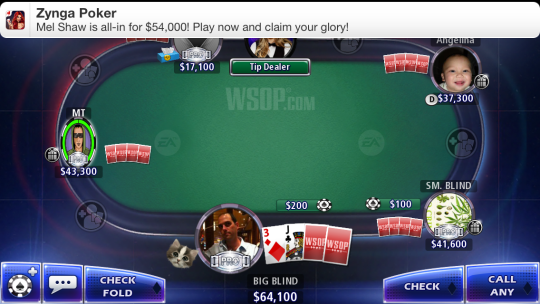 You do the math while I continue to get play-money slots game requests from Aunt Rita in Indiana. While MGM has to wait (except in New Jersey) for real-money casino (or lottery) play, you can guess they are happy to be running various free point promotions where the prize is ultimately a trip to one of their real brick-and-mortar casinos, where the slot machines may or may not pay out the same way the they did for play money online. Macau gaming revenue grew 21.1 percent in June, as the world’s largest casino market continues to benefit from a nonstop supply of middle-class Chinese gamblers eager to place their bets in the former Portuguese colony. Gambling revenue in the Chinese territory, just across the strait from Hong Kong, rose to $3.54 billion, according to figures released Monday by the Macau Gaming Inspection and Coordination Bureau. Analysts had forecast June growth to be up 18 percent to 22 percent. 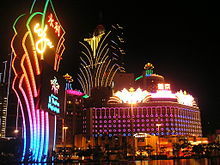 Macau is the only place in China where people can legally gamble at casinos. In May, revenues grew 13.5 percent to $3.7 billion, the second-largest single month collection ever recorded in Macau. The Chinese gambling enclave broke its monthly gaming revenue mark in March when casinos collected $3.92 billion. There are two types of gamblers in Macau — mass market, which are mainly middle-class workers from China and elsewhere in Asia, and VIP or so-called high rollers. 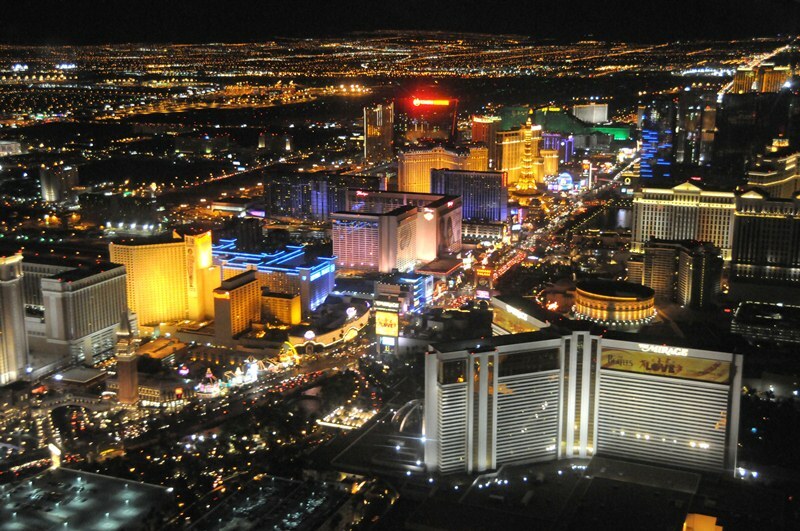 A Las Vegas-based gaming company has sent a letter to Toronto’s city manager expressing its interest in building a luxury casino-resort. 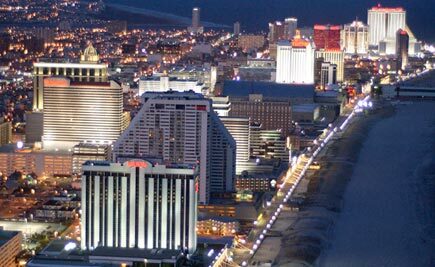 Much of the public debate on this issue has centered around a false choice between an outdated big-box slots model and no casino, Gamal Aziz, president and COO of Wynn Resorts Development, wrote in a two-page letter. I am writing you to make it clear that we would offer another option, Aziz wrote. 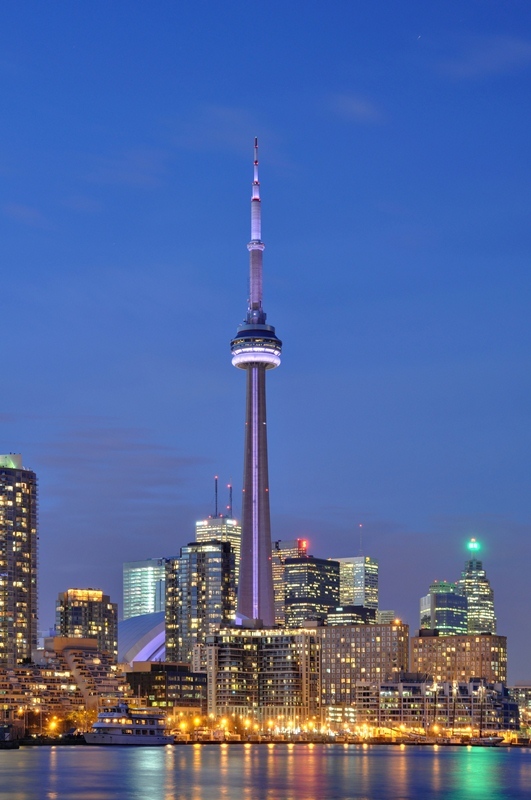 That is to create a luxury resort and spa experience that will confirm Toronto as a major global tourist and convention destination, one that will integrate seamlessly into the urban fabric of the city while standing out as an architectural asset. The letter was sent March 4. A copy was obtained by the Las Vegas Review-Journal on Monday. 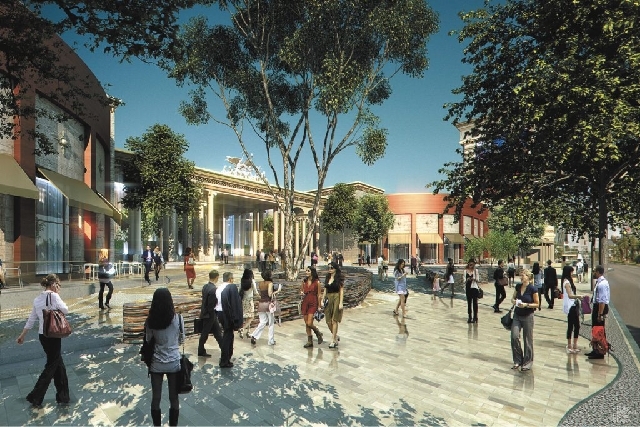 Aziz said Wynn Resorts would work closely with the city to find an appropriate location.